number of Southern Ohio breeders and owners of quarter horses registered by the American Quarter Horse Association and to help advance Ohio to the position of the leading quarter horse state. All the proceedings of this Association shall be in harmony with the policies and activities of the American Quarter Horse Association. Join/renew your membership before you get to the show. 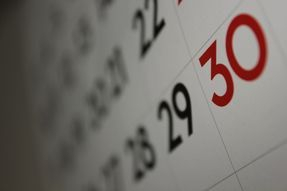 View our event calendar, to keep up to date on meetings, shows and important deadlines. The 2018 SOQHA NYATT Team was 3rd out of 67 teams from the US and Canada.